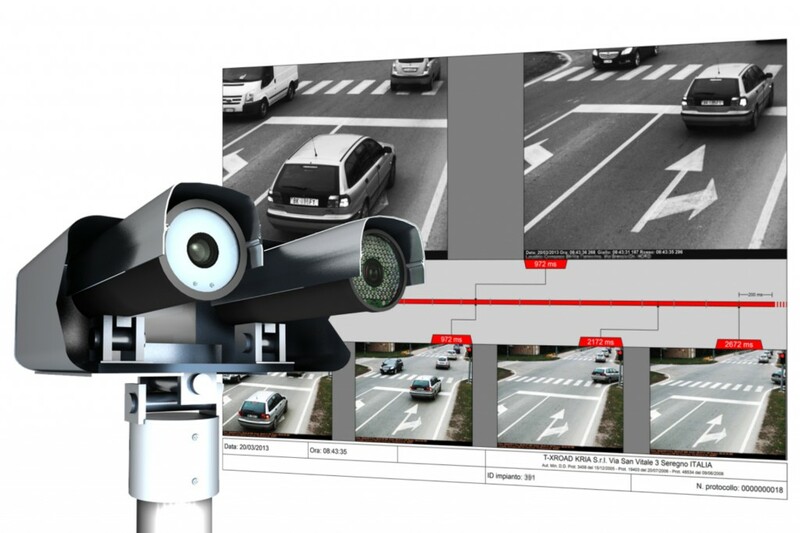 T-XROAD is an evolution of T-ID and is the most innovative digital system for red light violation detection and license plate identification, it doesn’t require any field sensor and is approved by the Ministry of Transport in Italy and abroad. Typical applications at crossroads and at railway intersections. T-XROAD is a scalable system, compliant with different camera resolution, from 1360 horizontal pixels (1-2 lanes) and up to 6600 horizontal pixels (6 parallel lanes, for foreign markets). Besides the monochrome camera dedicated to ALPR, T-XROAD features an additional context camera for the color documentation of the red light violation.